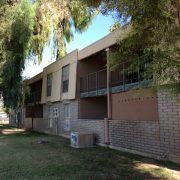 (Phoenix – July 13, 2017) – Vestis Group, a commercial brokerage and investment firm, is pleased to announce the sale of Hinton Place Plaza, an 8,865 square-foot neighborhood shopping center, located at 2814 N 16th Street and 1539 E Edgemont Avenue, in Phoenix, Arizona for $375,000 or $42 per square-foot. 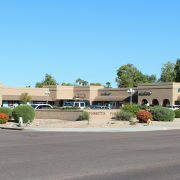 The Phoenix based Vestis Group commercial brokerage team of Matt Morrell, Natan Jacobs and Chad Barber negotiated the off-market retail transaction on behalf of the buyer, MODE Retail of Phoenix in the sale. The seller, The Marda Phillips Living Trust Trust of Honolulu, Hawaii, did not utilize third party representation. 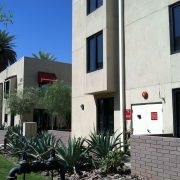 Hinton Place Plaza, aka Coronado 16, is a single-story, neighborhood shopping center located in Midtown Phoenix. 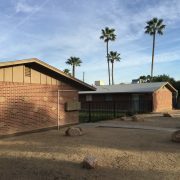 Built in 1957, Coronado 16 is scheduled to be artfully restored by MODE, a Valley real estate developer specializing in revitalizing properties in the mature neighborhoods of Central Phoenix. Coronado 16 will soon combine mid-century modern charm and urban art with a great mix of local and national retailers and restaurants. 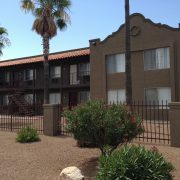 Coronado 16 is located in Phoenix’s downtown-midtown-uptown urban core, near seven major hospitals including: Phoenix Children’s Hospital, Abrazo Arizona Heart Institute, Abrazo Arizona Heart Hospital, Banner – University Medical Center Phoenix, Barrow Neurological Institute, Carl T. Hayden VA Medical Center, Phoenix Indian Medical Center and St. Joseph’s Hospital and Medical Center. 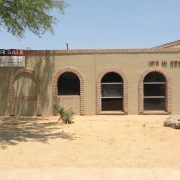 The property is situated in a commercial area adjacent to the Coronado Historic District, west of the SR-51 Piestewa Freeway, just south of the southwest corner of 16th Street and Thomas Road in Central Phoenix. 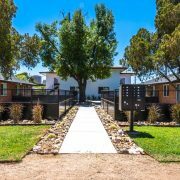 Vestis Group is the broker of choice for individuals and institutions investing in multifamily residential and commercial real estate throughout Metropolitan Phoenix. Our advisors assist clients in the acquisition and disposition of multifamily investment and retail investment assets, including, apartments, bulk condo packages, duplex/triplex/fourplex properties, single-family rental portfolios (SFR Portfolios), income producing single-family investment properties, neighborhood strip centers, retail power centers, retail strip centers, neighborhood grocery, retail PAD and retail shopping centers. 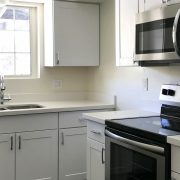 In the field of housing, Vestis Group’s principals have developed, built, rehabilitated, constructed, improved, managed, and sold thousands of apartments units, condos, single-family homes and home sites. Salespalooza Deux? In One Week? Amazing Vestis Group Does It Again!